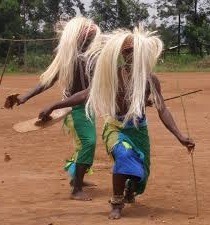 In the country of thousands hills, traditional music as well as dance play a vital role in the local traditions of Rwandan people and therefore visitors looking for destinations in the world where they can spend cultural encounters should book safaris to Rwanda because the country once affected by the genocide has strong unique culture presented in different traditional songs, dances to the visitors in an authencity way. The traditional Performances exhibited in different ways and these range from local demonstrations of excellence as well as bravery to amusing, entertaining local dance styles full of lyrics. Traditional songs sung by the traditional performers are sung together with the a solitary lulung which is a local harp-like musical instrument designed with eight strings. The dances are well backed up with the drum orchestra which is sounded by seven individuals but producing an interesting and exciting sound full of entertaining rhythms. This offers the visitor an entertainment he or she has never met anywhere in the world. Taking visit to the Musanza where the national museum is found will reward tourists spending their cultural tour and safaris in Rwanda to enjoy the Live dance performances as well as enjoying the views of the Rwanda’s best dynamic and distinct traditional musical and dance styles organized by the famous Intore Dance Troupes. Besides music and dance,a tourist on his Rwanda Safaris can also enjoy and appreciate the traditional Handicrafts which are locally made by the local people living in the villages and these handicrafts include the tradition baskets, ceramics, traditional wood carvings as well as well-done contemporary painting. The experience becomes magnificent when one takes step to tour the Gahaya Links Gifted Hands center where visitors can watch different weavings of the baskets. Tourists can also visit various craft villages like CAPLAKI Craft Village, Inganzo Gallery as well as African Gift Corner and others.